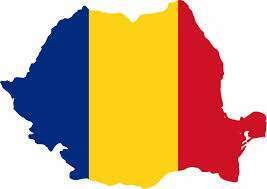 Romania has joined the growing list of European countries that have introduced a formal online-gambling regulatory regime. The country has announced the first three companies to receive temporary but official government licensing, along with publishing a blacklist of 48 online domains the government has deemed in violation of the country’s new online regulations. The new regulations, temporary approvals and blacklist inclusions have all been published by Romania’s National Office for Gaming, the ONJN, which has been charged with implementing the new tax regime as established by Romanian legislators in 2013. The ONJN cites its desire for “transparency, fairness and enforceability,” while stating that protecting minors and those vulnerable to gambling addiction are among the primary benefits for Romania’s implementation of the new codes. An ONJN statement accompanying the announcement says that the country has based its new online-gambling rules on those found in four other nations scatters around Europe and the Meditteranean — the United Kingdom, France, Italy and Malta. The temporary licenses newly issued by Romania are good through the remainder of 2005, after which rolling 10-year licenses will be formally issued. A third category of companies believed to be in ongoing negotiations with Romanian officials over back taxes owed has not been announced at this time, while several other companies have formally withdrawn their services from the Eastern European nationality of about 20 million people. William Hill, for example, pulled out of the country a month ago. Receiving one of the first three official Romanian online licenses is S.C. Right Betting S.R.L, the Romanian business front of StanleyBet Romania. StanleyBet operates large numbers of betting kiosks in the country, and was always expected to receive one of Romania’s first official approvals. The other two initial approvals went to Malta-based Cosmo Gaming Company, Ltd., which operates NetBet in Romania, and to WM Interactive Limited, which owns and operates the Winmasters brand. Other companies such as PokerStars, Bet365, bWin (also including PartyPoker) and others are believed to still be in negotiations with Romanian officials over how much in back taxes is owed. A recent update from Bodog mouthpiece CalvinAyre.com claims that companies have been given a 90-day grace period to pay a hefty 20% of gross gaming revenue (GGR) on all traffic generated from Romanian gamblers over the past five years. CalvinAyre.com likely received the information directly from such an offer made to Bodog.eu, which has never officially marketed to the Romanian market and has since been listed among the 48 domains on Romania’s new blacklist. At least 12 different online-gaming companies have had sites targeted by the new Romanian blacklist. Along with Bodog, the most prominent brands added to the blacklist by Romania’s authorities include Titan Poker, Intertops, Carbon Poker and BetOnline.